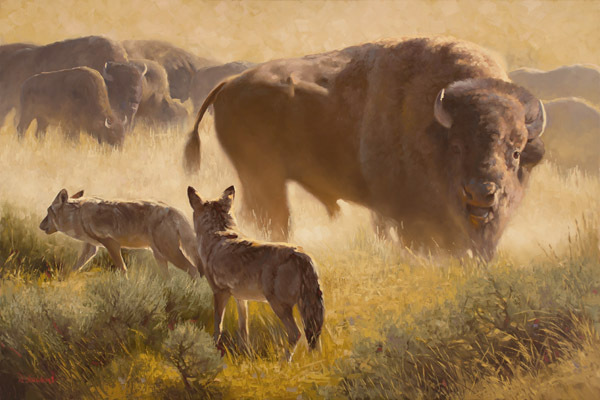 Van Wechel paints wildlife in a natural landscape t hat offers a glimpse into their world. This magnificent male bison stands guard over his herd, Two coyotes pause close to the herd, but know it's best for them to move on. They do not want an encounter with this powerful animal.